I can’t vote in Israeli elections this year. Here’s what I’m doing instead. When I moved from Israel to the US last June – three years after becoming a citizen, and six since I began a life there – I did what seemed the responsible thing to do: I reported the move to the government. I’m committed to living in the US for several years, and so I exercised an enormous privilege: I stopped paying taxes and gave up my residency. As Jew eligible for the law of return, there was little risk for me in doing this: whenever you want to come back, the nice older woman at National Insurance told me, you can just reapply as a returning citizen. It feels important for me to say here that were I not Jewish – were I, instead, a Palestinian East Jerusalem resident – giving up my residency in order to live abroad would have been a terrifying decision. It could mean never being allowed to live in Jerusalem, or freely enter Jerusalem, again. It might mean risking being denied entry to the country – even if I had been born in Jerusalem; even if my family could trace its roots in this land back hundreds of years. As it is, I am Jewish, and an Israeli citizen. So the heartache of giving up my residency was largely symbolic: it meant acknowledging the end of a sweet and beautiful chapter of my life, trying to carve out a place for myself in the tangle that is Jerusalem, trying to help create the kind of future I want to see in this land that I love. What I didn’t think about when I filled out that paperwork was that there was one important implication. As a non-resident, even though I’m Israeli, I now can’t vote in tomorrow’s elections. Participating in democracy has always been a huge value in my family. My mother often tells a story of my grandmother, a Holocaust survivor, calling her on election days and asking pointedly in her Polish accent, “Did you vote?” My grandparents knew well what the dissolution of democracy looked like; they never took for granted the honor and privilege of being counted, and heard, as voters. So I am thinking today of the privilege and honor I had, and gave up, to vote in the State of Israel, as we approach a day when millions of people who will be affected by the policies of whatever government lands in Knesset – Palestinians in the West Bank and East Jerusalem – are not counted. And I am thinking of my grandparents, who loved democracy; and I am thinking of my friends and communities in Jerusalem heading to the polls tomorrow, many of whom share my growing fear that democracy itself is slowly eroding in our beloved homeland. And because I won’t be hopping on a plane to put my vote in the kalpi tomorrow – as many of my Israeli friends living abroad are doing as I speak – here is what I’m doing instead. I’ve estimated that cost of a plane ticket to Israel, what I would have spent had I been able to vote and had indeed made the trip. And I’ve divided that amount among four organizations who I think are worth supporting right now – who, leading up to elections and whatever happens in their wake, are seeding and nurturing democracy, equity and justice where Bibi’s government is not. Zazim זזים. This online and on-the-ground organizing group helps grassroots activists run campaigns promoting values of “human rights, social justice, combatting racism and the occupation, environmental protection, government transparency and independent media.” They’ve done great work around the elections calling attention to important issues and populations that aren’t being given enough airtime in public discourse. Standing Together עומדים ביחד. 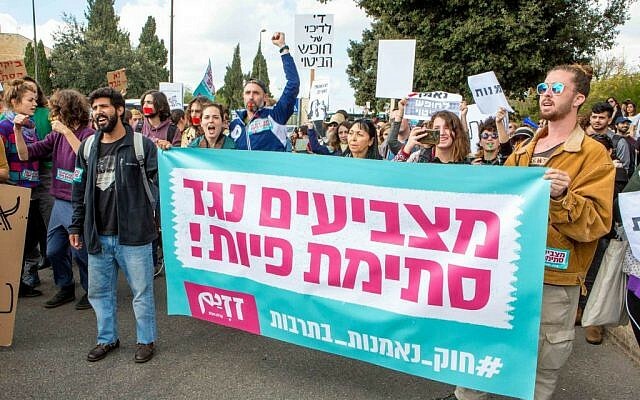 This is a Jewish-Arab movement that has been working hard to expand the circle of Israelis who even think such a thing is possible or worthwhile. I appreciate their focus both on having a wide appeal and maintaining the pursuit of both peace and justice and equality. The New Israel Fund. Practically every major Israeli organization focused on democracy, equality and/or human rights owes significant support to NIF. Their campaign leading up to elections has been focused on the day after elections, which is crucial “preventative care” for all the institutions they support. 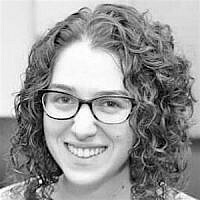 If you, like me, are a dual citizen or expat who couldn’t make it to vote this year; or if you, like me, are an American Jew who believes our fate and our Israeli compatriots’ are deeply intertwined; or if you, like me, wouldn’t think much about spending $800 on a ticket to Israel – consider exercising your voice today. Do it by sharing a post by an organization you appreciate; by urging your Israeli friends and family to get out and vote; or, if you feel financially able, make a donation. Because maybe you know, like me, that when the election results come in on Tuesday, you will want to feel like you did a little more than just hope for change. Shani Rosenbaum is a non-profit professional and Jewish educator. She recently relocated from Jerusalem to Boston, where she is pursuing rabbinic ordination at Hebrew College.